The youngest member of the ESR journal family concentrates on basic scientific discoveries, novel approaches and techniques in experimental settings in the field of medical imaging. It is an online gold open access journal. Article Processing Charges for publication in European Radiology Experimental are covered for all corresponding authors who are active members of the ESR. Subscription is available via your MyUserArea. This online gold open access journal specialises on critical reviews, guidelines and policy statements, and is dedicated to education and strategies in radiology. Article Processing Charges for publication in Insights into Imaging are covered for all corresponding authors who are active members of the ESR. The flagship journal of the European Society of Radiology (ESR) continuously updates scientific knowledge in clinical radiology by publishing original research articles of general interest and importance as well as state-of-the-art reviews, and short communications written by leading radiologists. Members of the ESR receive free electronic access to the journal, which is Europe’s No.1 journal for general radiology. The three journals of the ESR family are three faces of the same coin, although they have different aims and features. European Radiology is the oldest and most established journal: with an impact factor of 3.967 in 2016, it ranks at 16/127 place among all radiological journals, being also the third-ranked general radiological journal indexed by ISI. It published high-quality original articles but also state-of-the-art reviews on hot topics. Insights into Imaging has a different aim, being more devoted to publish educational papers and guidelines or official statements by the ESR and its affiliated societies. We are waiting for impact factor attribution, which has been requested two years ago. Last but not least, European Radiology Experimental is our youngest journal. As the name says, it is devoted to publish studies standing between radiology in the experimental setting and basic science. This is also a very good journal to publish proof-of-concept or explorative studies, which may be seminal to future, more clinical applications. Importantly, both Insights into Imaging and European Radiology Experimental are gold open access journals, which means that papers can be accessed and downloaded for free by everyone. Publication in these two journals is encouraged by the ESR which kindly sponsors the article processing charges for all its members who are corresponding authors. Which is the status of musculoskeletal research in the ESR journals? Musculoskeletal research in ESR journals is very well represented. 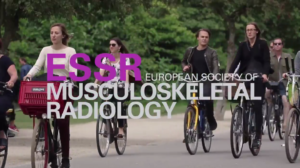 In 2017, European Radiology published 14 papers, Insights into Imaging six papers, and European Radiology Experimental three papers on MSK research. Notably, of six papers published in Insights into Imaging, two are related to the ongoing project about guidelines evaluation, promoted conjointly by ESSR and EuroAIM. 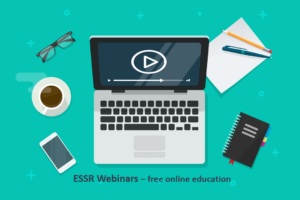 In 2018, European Radiology has already published 13 papers on musculoskeletal radiology and two further papers originated by ESSR: one is about the recent survey on MRA performed among all ESSR members (click here to access the paper) and the second is the 2017 update on the clinical indications of musculoskeletal ultrasound promoted by the Ultrasound Subcommittee. Which is the relationship between ESSR and ESR journals? European Radiology is one of the official journals of ESSR. For this reason, ESSR has the right to have one member in the Advisory Board of the journal. I have been appointed to this role in 2017 and this is the second year I carry out this task. My role is to represent ESSR in the Editorial Board, bringing in the inputs of the Executive Committee and providing suggestions aimed to improve the performance of the journal: it is a very delicate role! Then, personally, I am also member of the Editorial Board of Insights into Imaging and European Radiology Experimental, where the role is to help the Editor-in-chief to run the journals, mainly with paper assessment and revision. I think that ESR journals, each with different specificities, are very good places to publish for all ESSR members. After the ESSR 2017 meeting in Bari, Professor Sardanelli, Editor-in-chief of European Radiology Experimental, invited some of the best oral presentations to submit their work to the journal: this is certainly a way to strengthen the relationship between our Society and the ESR journals.